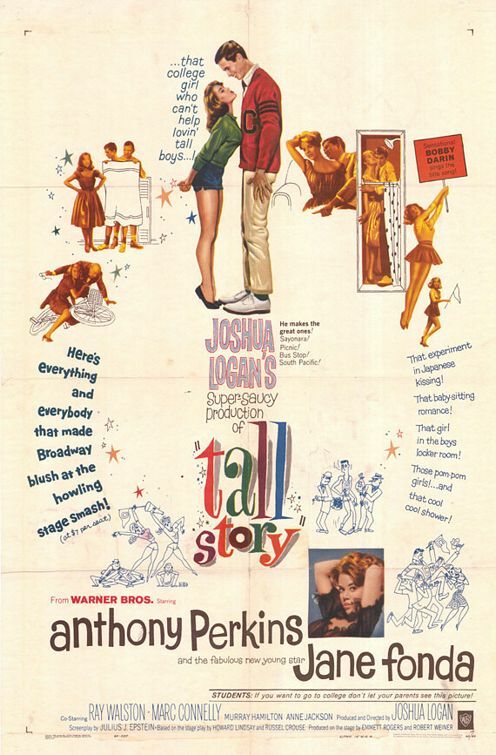 This entry was posted in 60's Movies, Basketball Movies, Black & White, College Life, Comedy, Movies Based on Novels, Movies Based on Stageplays, Romance and tagged Anne Jackson, Anthony Perkins, Drama, Entertainment, Jane Fonda, Marc Connelly, Movies, Review. Bookmark the permalink. Yeah, I noticed that. I think Jane is adept at comedies and should do more of them. But Jane certainly is cute in her film debut!